Join hundreds of people from around the city celebrating the true meaning of Easter! 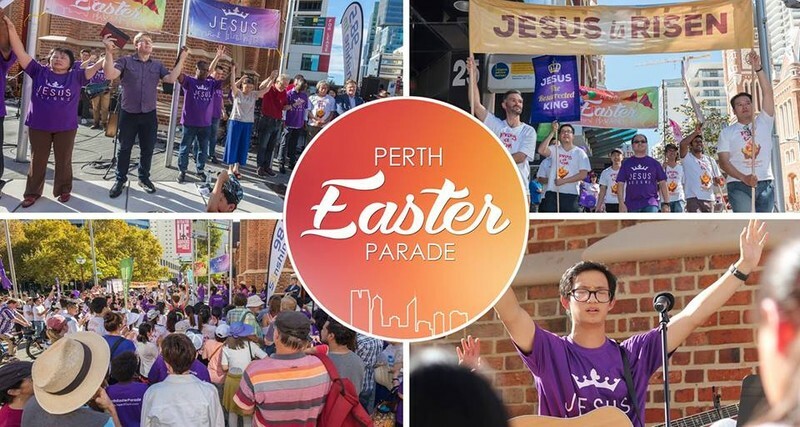 The parade will begin at Stirling Gardens at 2:30pm and finish up in front of Wesley Uniting Church for a time of worship and celebration! There will be a colourful parade, live music, and guest performances! This is a free event for the whole family to enjoy!